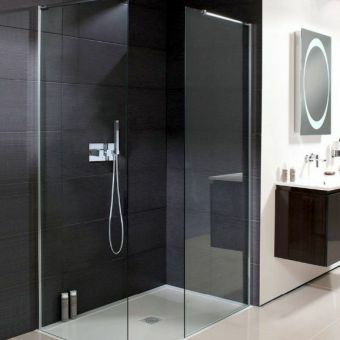 Simpsons are the go to name in shower design and products, with nearly twenty years of experience in leading the way in shower innovation. 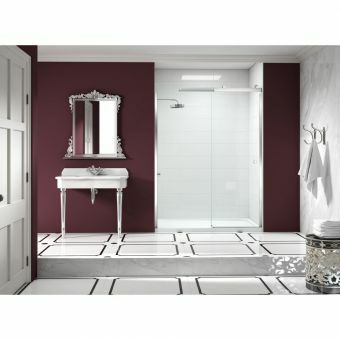 Their Design range is a high quality series, poised for inclusion in the luxury living space. 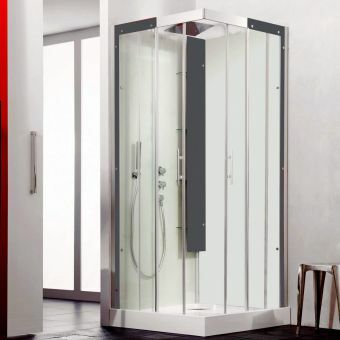 The gentle glide of the Design Soft Close Slider Door speaks in hushed tones of confident design and absolute luxury. 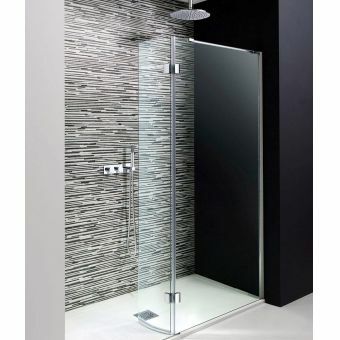 Crafted from high quality, toughened safety glass, the strength and solidity of this piece is tangible. 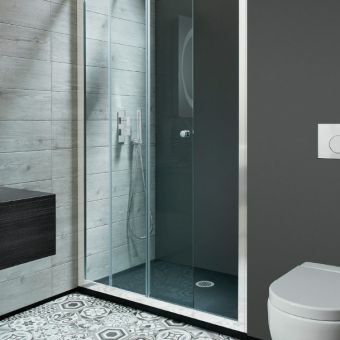 Specifically designed with a low noise character, it rolls on smooth action runners for an almost silent operation. 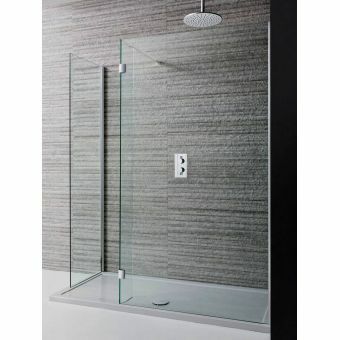 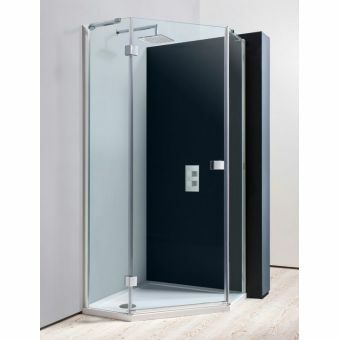 Manufactured with the door unit in five different sizes, this unit also comes with options for compatible side panels in three widths, allowing for a corner arrangement if needed. 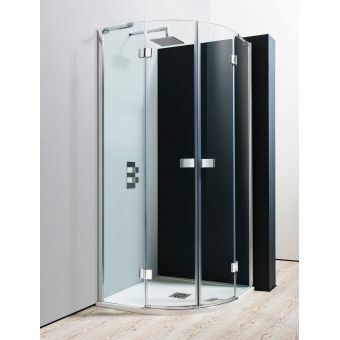 Fully reversible for left or right hand opening, it can be applied to a multitude of bathroom or shower room layouts. 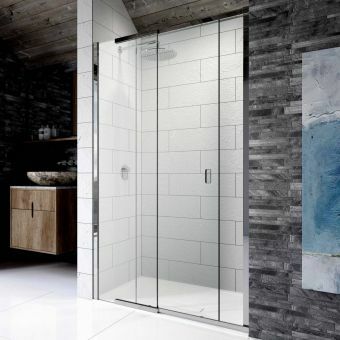 Just as at home in the wetroom as when paired with flush to floor or raised shower trays, its sliding door design makes it the ideal choice for getting the most out of your available space. 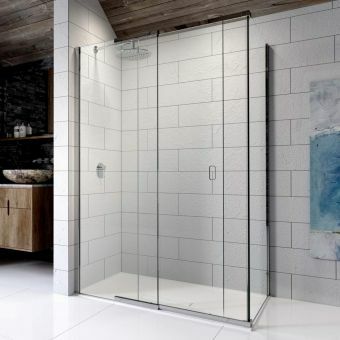 Drawing heavily on contemporary designs that favour bold minimalism over ornamentation, the clean and clear aspect of pure glass and high polish silver framing makes Design a fine choice for the contemporary living space.